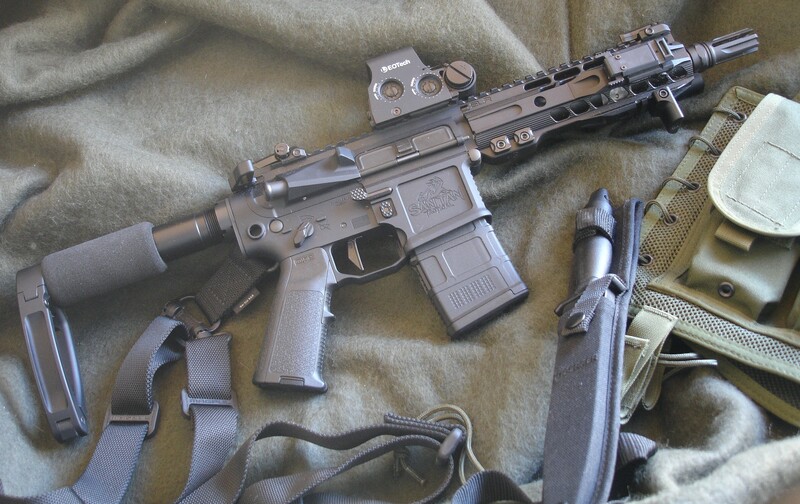 One of the chief draws of the AR-15 platform is the ease with which the average person can customize or modify one. Many of the most popular upgrades and accessories are “drop-in” or “bolt-on” and can be swapped, upgraded, and removed on the fly. This is especially true when it comes to optics. 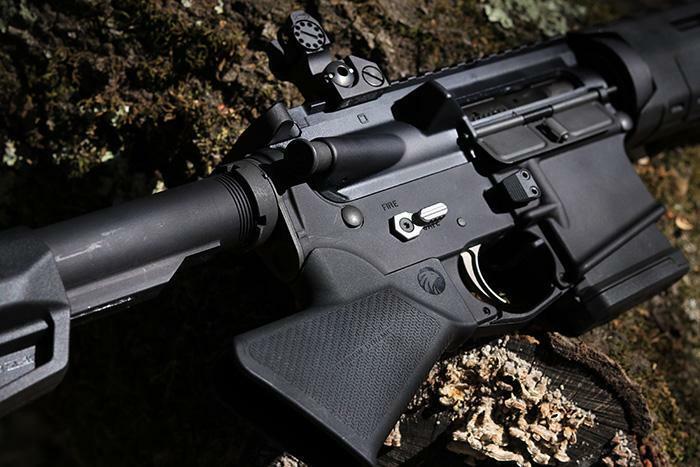 Most modern AR’s have a significant length of rail at least on top of the receiver, and at the end of the handguard, and often will have a full-length rail running all the way down the top of the firearm. 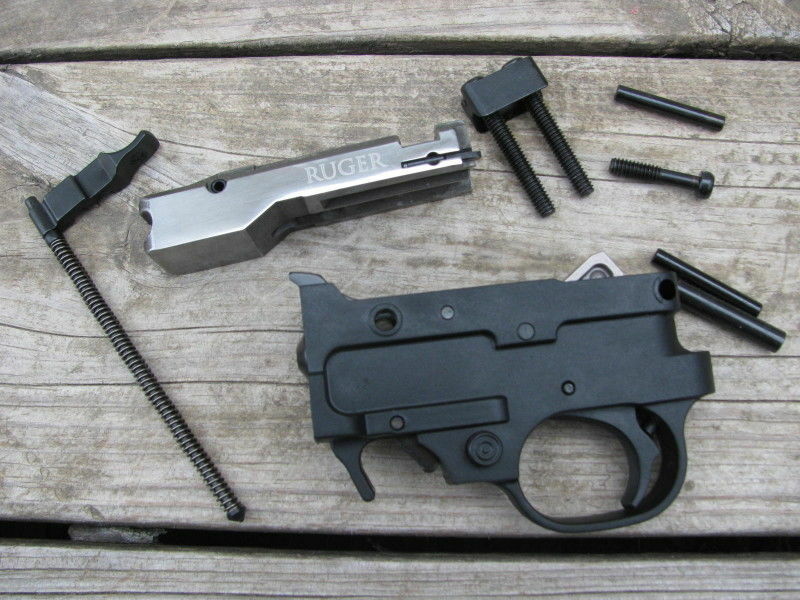 These rails, called Picatinny rails or 1913 rails, make it easy to swap optics in and out without any specialized tools other than maybe an Allen wrench. And make no mistake, there are literally thousands of optic options available for AR owners. 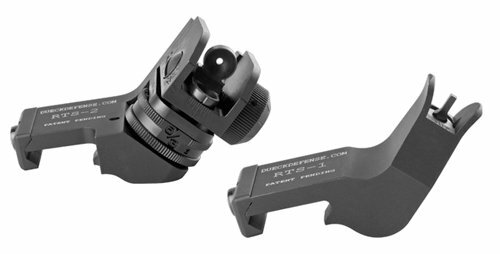 This guide is intended to help shooters who are looking for the best optic for their needs and will cover categories from backup iron sights(BUIS) to long-range optics designed for precision shooters. Iron sights are an excellent analogue backup for another optic. They are generally more robust than a magnified optic, require no power source, and are effective to a surprising range with proper usage. Of course, you can get by just fine with only iron sights, but there will always be advantages in precision and target acquisition with an optical sight, especially once you start trying to hit targets at greater ranges. 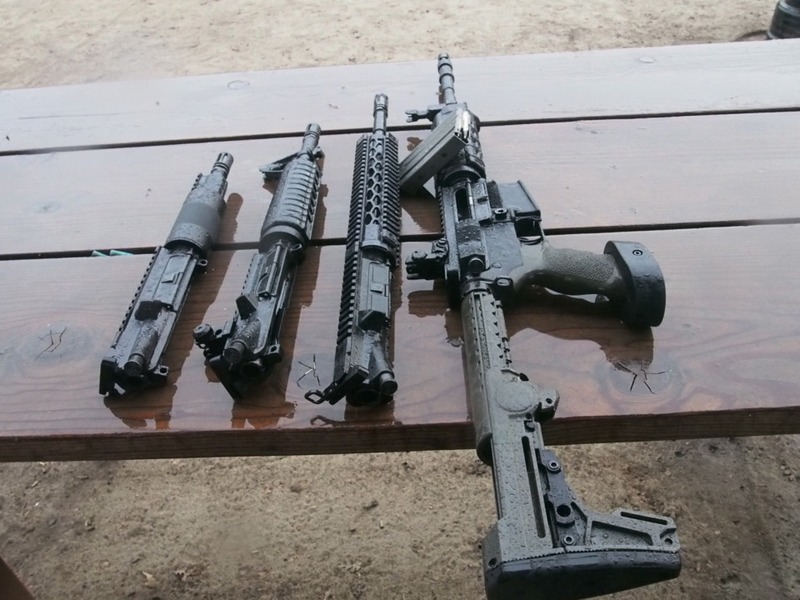 That said, many shooters won’t carry a gun without at least a backup set of irons, so if you fall into that camp, or you just want irons only on your AR, a set of BUIS is a good choice. BUIS differ from normal irons in that they are not fixed, but in fact fold up when needed, and fold out of the way when not. They add minimal weight and bulk to a rifle, and are generally a good option to have available. The usual standard for BUIS is of course the Magpul BUIS you’ll find in stock almost everywhere that sells firearm accessories. These are perfectly serviceable, and shouldn’t be looked down on. If you’re really looking for the best of the best though, we recommend the all-metal and generally more usable Troy Battle Sights. These BUIS offer a positively bomb-proof anodized aluminum construction coupled with steel locking and attachment mechanisms to ensure reliable function in even the most adverse conditions. 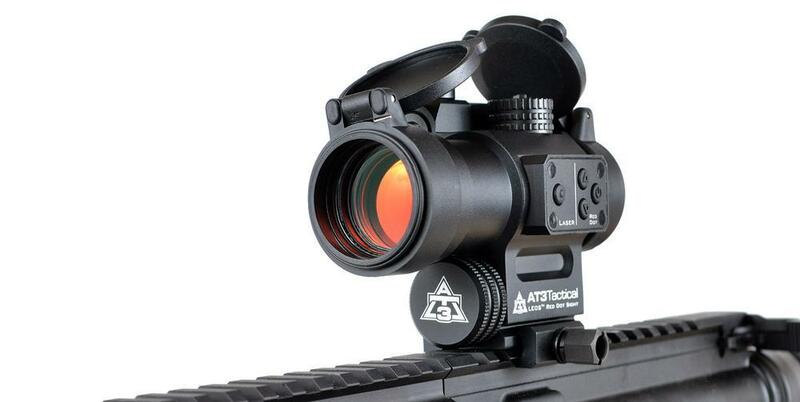 These sights are expensive, but come in a number of heights and with various aperture designs, including an illuminated tritium model that make low-light use easier. One note: be careful about buying from auction sites and even Amazon, as counterfeits of these sights abound. Be sure to only buy from verified and reputable sellers and you should be fine. 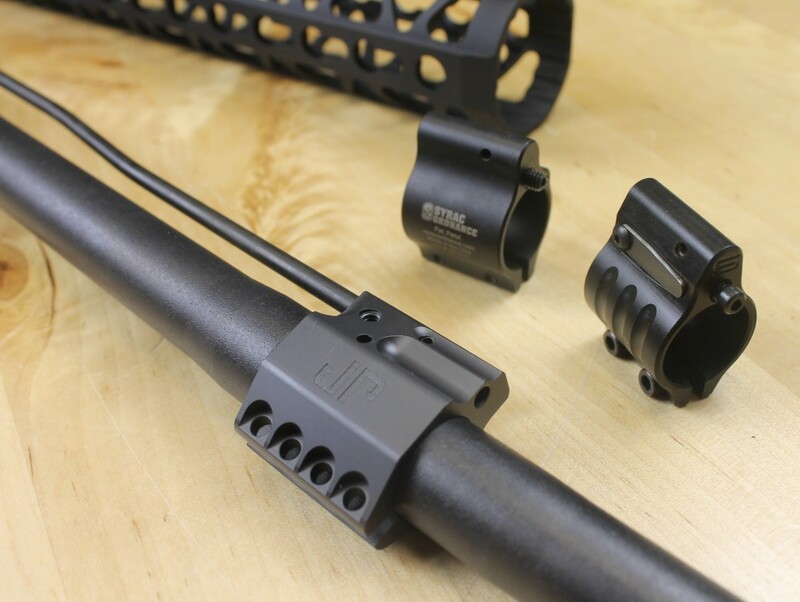 Offset BUIS or just plain offset iron sights fill a similar role to regular BUIS, but they are mounted at a 45 degree angle to the handguard, meaning they can be used simply by canting the gun to one side while shooting. This allows the shooter to have their secondary optic available at a moment’s notice, and provides a very fluid transition from using a magnified optic for mid to long range shots, to using irons for those close-in targets. This is especially useful on a combat firearm, or for one used for action-shooting sports like 3Gun. There are a number of ways to achieve this offset iron sight setup. First, and by far the easiest, is to simply mount iron sights to the 45° section of your Keymod or MLOK rail. This can be done by simply attaching rail sections where you want your irons, and attaching your favorite irons to that. If you don’t have a Keymod, MLOK, or other rail with 45° mount holes, you’ll have to use a purpose-build set of offset irons. For that, we recommend the Rapid Transition Sight by Dueck Defense. These sights were designed by a competition shooter for ease of use in a high-stress situation, whether that’s competition or combat. These sights are easy to use, easy to install, and rugged enough to handle anything your regular iron sights would, all while being lighter than most standard metal BUIS. Red dot or reflex sights offer easier target acquisition than iron sights for the average shooter and make for a good upgrade to standard irons. 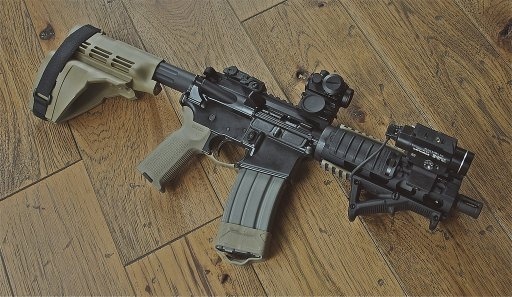 You can also continue to use your iron sights, either in a folded-down, backup capacity or you can do something called co-witnessing which allows you to use both at once..
Now, if you aren’t sure about red dots, and want to try one out without sinking a lot of money into one, you might be interested in a more budget-minded optic that will give you a good idea of how red dots work, but won’t be much of a loss if you find out you don’t like it. For this, we recommend the Bushnell TRS-25. 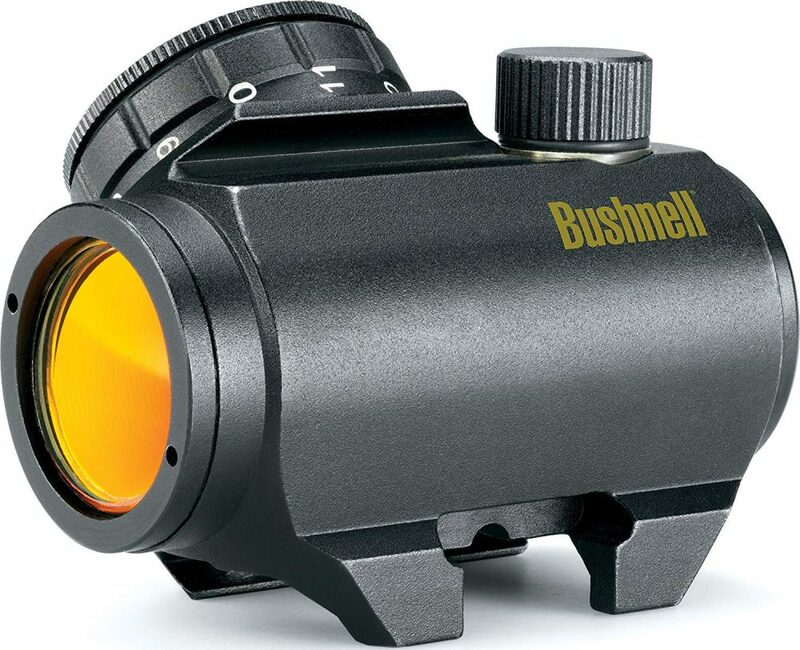 This sight is part of Bushnell’s Trophy series and is generally considered to be the best value in the <$100 market. In fact, you can regularly find this optic on sale for under $50 if you look hard enough and are willing to shop around a little bit. If you’re looking for something a little bit nicer that will stand up to more abuse, you’ll need to spend a bit more money, but you needn’t spend a fortune to get something that is rugged and reliable, and a little more feature-rich than the TRS-25. There are a number of red dot sights in the $100-$400 range that could fit these criteria, but in general, you’ll have to weigh your needs against your budget and decide for yourself from a whole host of choices. Overall though, the Holosun HS403A is hard to beat. For under $150 you get a surprisingly rugged red dot that will run for a very, very long time and will survive anything you throw at it. What’s more, it gives you a much wider field of view compared to most other red dots, and in fact, it rivals some much more expensive red dots. There are hundreds of red dots out there, and many of them are very good, some few are even great. The limiting factor here is going to be your budget. You have to decide how much you’re going to spend on your red dot. It makes no sense to put a $1000 red dot on a $500 rifle, just as it makes no sense to put a $50 red dot on a $2000 rifle (you can, but you’ll be wasting money one way or the other). If you just want the overall best value for your money, you have a few options like the Holosun Elite, SIG Romeo, or Vortex Venom 3, but we recommend the Aimpoint PRO. It’s the most rugged, has a reputation for reliability, and has all the adjustments and features of much more expensive optics. 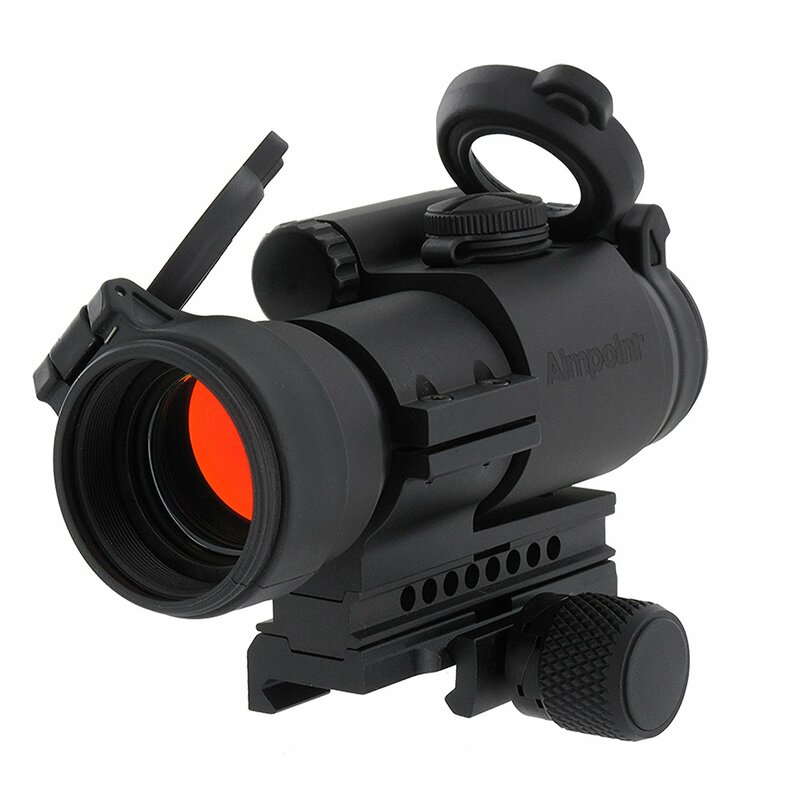 The Aimpoint PRO or Patrol Rifle Optic is designed specifically for use in the most adverse conditions, has a long battery life, and is unlikely to break on you when you need it most. This tube-style red dot comes with lens covers and a handy quick-detach mount that means you can put it on and take it off without any special tools, always a plus in the field. Overall, if you’re looking for a red dot that absolutely will survive anything life throws at you (or your rifle) this is the one we recommend. It will hold a zero and keep on going for as long as you need it to. Micro Red Dots are smaller than your typical red dot, hence the name. These sight systems are primarily intended for use on pistols, but they can also find an easy home on shotguns and rifles. These sights are often commonly seen mounted at 45° angle like offset iron sights on rifles that have a magnified optic. This gives the shooter the space for the magnified optic which allows for accurate distant shots, while also providing the rapid transition ability of offset irons, plus the quicker and easier target acquisition of a red dot. The best micro red dot we’ve found is the Trijicon RMR, made of course by the manufacturer of the legendary ACOG. The glass is clear, with minimal distortion, and the sight is rugged and robust enough for nearly anything you throw at it. Holographic sights are something of a step up from your typical red dot. For one, they don’t use colored glass, so you get no color distortion of your target. You also get the added benefit of an optic that will still work even if the lens cracks, or is scratched heavily. 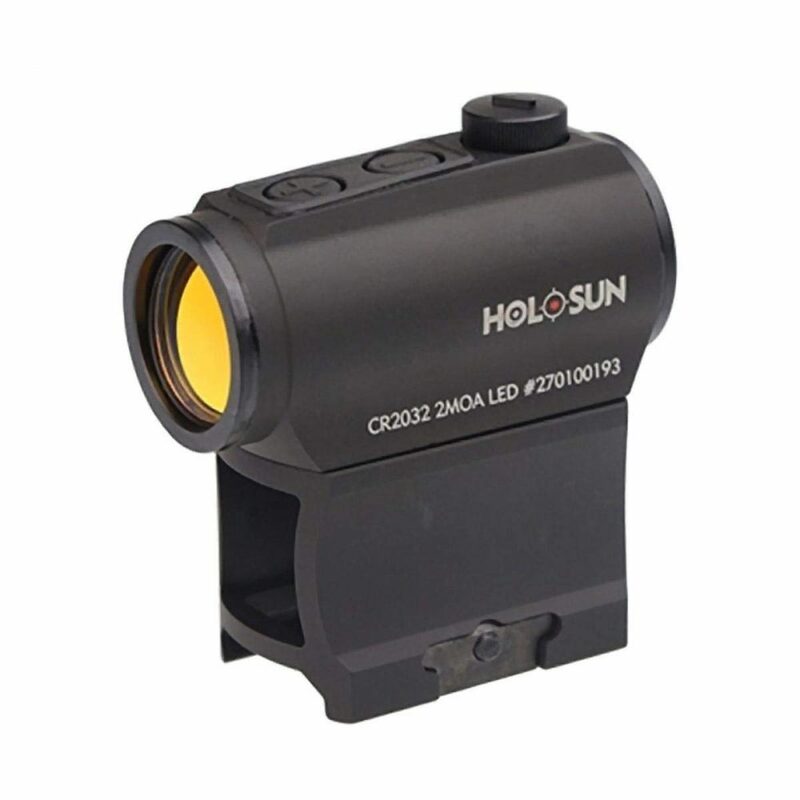 Holographic sights accomplish this by actually projecting an image of the reticle onto the glass of the optic, which allows for some impressively clear sight pictures. You’re probably familiar with the dot-in-circle reticle that is the standard on most of these optics, where the circle provides fast target acquisition and the dot in the middle allows for precision shots at range. This is the reticle you’ll most often see on military rifles and in most first-person-shooter video games. The primary benefit of a holographic sight is the lack of parallax…meaning you can move your head around and don’t have to worry about getting your eyes in the exact same position every time to avoid the reticle appearing to move. On a holosight, the position of the reticle is going to remain relatively fixed because of the way it is projected. This makes for a much more forgiving shooting experience. If you want to take advantage of these benefits, the holographic sight we recommend is the EoTech XPS2 or the XPS3. 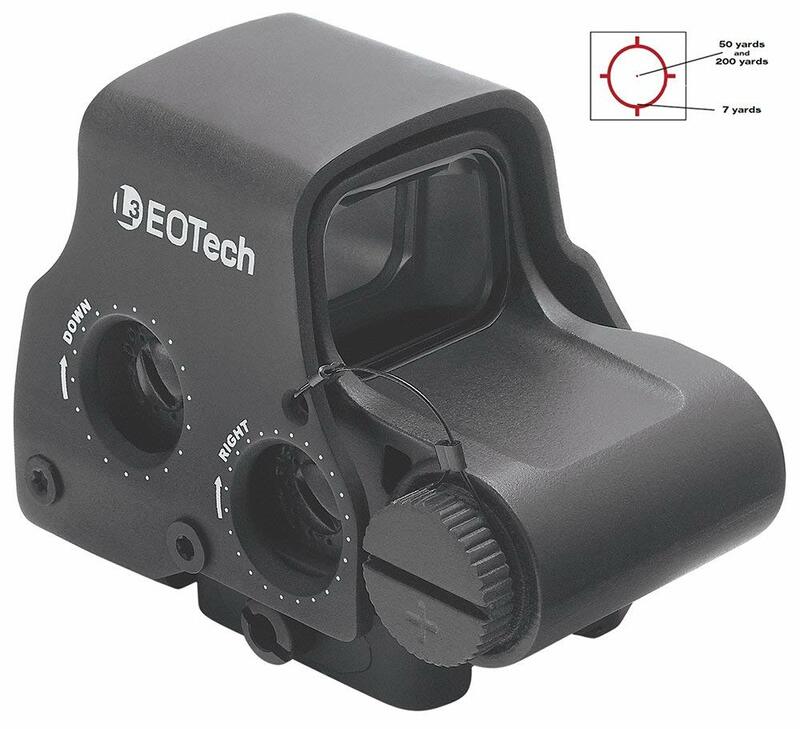 EoTech is the primary manufacturer of holographic sights, and despite some hiccups in recent years regarding reticles moving under extreme heat and cold, the company is now churning out excellent products. Choose the XPS2 for normal use and the XPS3 if you’re looking to use a night vision optic with your holosight. A popular option for supplementing the abilities of a red dot or holosight is a flip-out 3x magnifier. These magnifiers offer the option of what is effectively a 3x scope, while also letting you use your red dot for close range engagements. 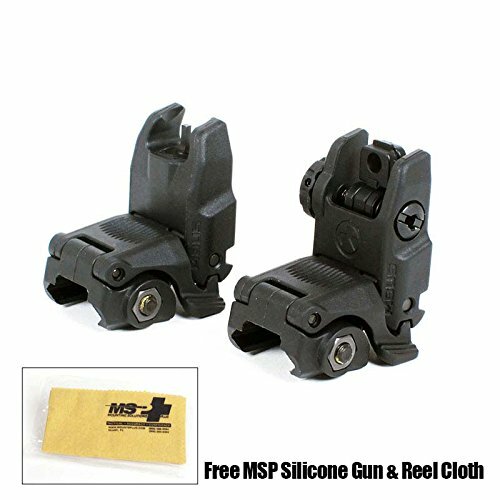 They are simplicity itself to use, mounting just behind the red dot or holo you’re using, and flipping up for use, or out to the side when not needed. These versatile tools are also commonly fitted with QD mounts that allow you to put them on or remove them in seconds, without tools. There are a number of magnifiers out there, but the truth is you’ll see dramatically diminishing returns as you go up in price. For the best value, best clarity, and easiest use, we recommend the Vortex 3x magnifier for all your intermediate range needs. This simple 3x magnifier is crystal clear, and works well with a wide variety of other optics to give you a shooting experience that is as straightforward as it is versatile. BDC or Bullet Drop Compensator scopes are some of the most useful optics around, when used properly. They allow a shooter to quickly and accurately gauge bullet drop over a variety of distances. When accurately calibrated and paired to the rifle and round you’re using, a BDC scope will show you exactly how high to hold in order to land shots on target at any reasonable range. This is accomplished through graduated lines in the reticle that show you where to aim for a variety of distances. There are a huge number of these types of scopes out there, and its easy to see why. If you have a target at a known distance, these optics make accurate holdover simple and straightforward. The very best, and certainly most commonly known, example of this type of AR-15 optic is the Trijicon ACOG. The ACOG or Advanced Combat Optical Gunsight is a common fixture on M4-pattern rifles around the world, and indeed they can be found anywhere 5.56-caliber weapons are wielded by well-armed men and women in hostile environments. The ACOG is a tough, rugged, and dependable optic that has more than proven its worth on battlefields the world over. 3Gun and other action shooting sports are growing more and more popular all the time, and many firearm enthusiasts are giving the sport a try. Typically for these events, you have a pistol, rifle, and shotgun, and a variety of targets to engage on a live fire course that requires you to move and shoot and generally put all your shooting skills to the test. For the rifle portion, the AR-15 is by far the most popular choice given how lightweight, maneuverable and versatile the platform is. In order to fully take advantage of the full-scope of the flexibility offered by the AR-15 platform, you need a scope capable of engaging targets at a variety of ranges, while remaining lightweight. For this, a 1-6x or 1-8x scope is preferred. A variable power scope in this range will allow you to engage close-in targets without worrying about too much magnification, while also giving you the ability to reach out and hit those 400+ yard targets. If you’re looking for something to slap on a rifle for an action shooting competition, the Vortex Strike Eagle 1-8x is one of the best options around. 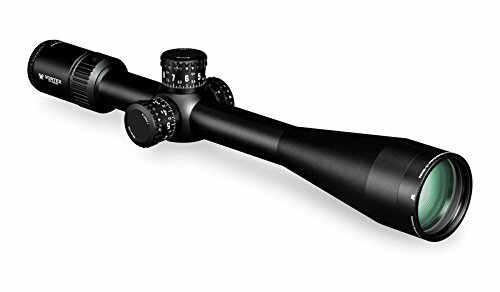 This scope has clear glass, and is available in a variety of reticle options. Just make sure you know that the BDC version will only be accurate at maximum magnification. You can typically find it under $400 making it a great value for the money. Of course, if you’re looking for the best of the best when it comes to run-and-gun type optics, you’ll likely want to spend a little more on your glass. More expensive options give you better, clearer glass, a more rugged housing, and a more forgiving amount of parallax and field of view. This means that you’ll have more wiggle room when it comes to placing your head and you’ll have more options for where your eye can be and still give you the full field of view. This is especially important for action shooting sports because you aren’t always going to have time to get your head in exactly the same place, and you are going to be moving, stressed, out of breath and generally less able to focus on shouldering the rifle and aiming from a consistent position. This more tolerant field of view and relative lack of parallax makes for a much more intuitive and relaxed shooting experience, allowing you to focus more on your target, and less on getting positioned just right for the shot. During a match, you have enough on your mind without worrying about missing a shot because your head isn’t in its normal spot on your cheekrest. 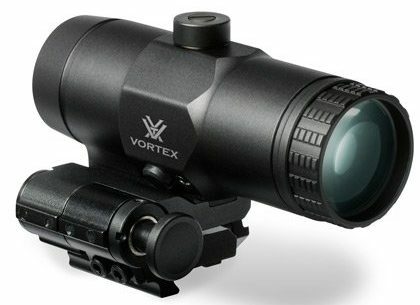 For a scope like this, we recommend the Vortex Razor HD Gen II. This scope costs as much as some mid-range rifles at around $1,400, but it is worth every penny. 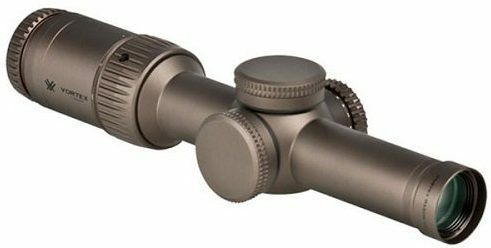 This scope offers everything you could possibly need in a 1-6x and will serve you well either as a hunting scope, or on a competition rifle. In our testing, this scope held a zero over an entire season of matches where it saw use and abuse that would have broken lesser optics entirely. If you need something that will stand up to whatever you throw at it, this is the one. 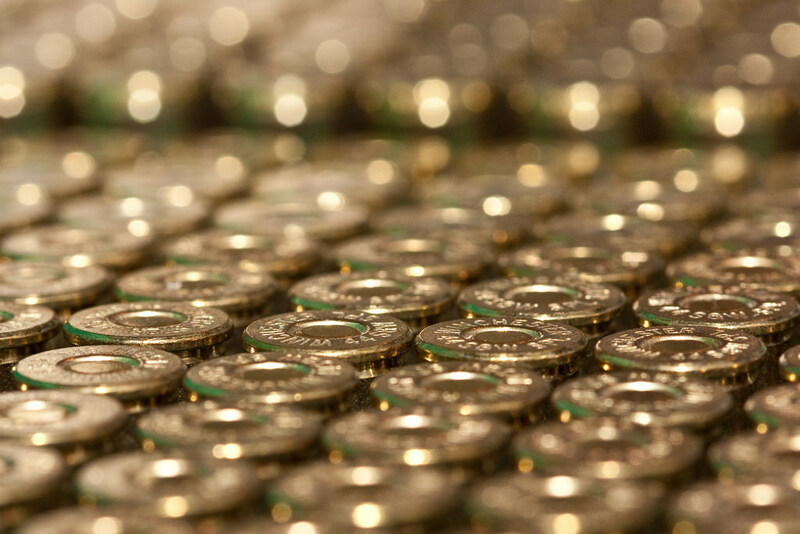 Modern AR-15 ammo has come a long way, and many hunters are turning to the platform for taking down all kinds of game, especially varmints and smaller predators. Medium game like wild hogs and deer are also on the menu, especially if you’re using a rifle chambered in something like the wildly popular .300 Blackout or 6.5 Grendel. 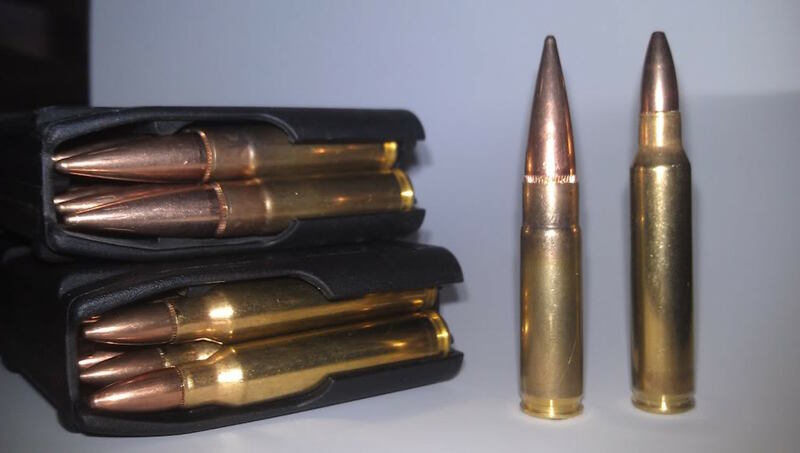 The new .224 Valkyrie is also an excellent option for taking down larger game, and it gives you a round that stays supersonic past 1000 yards for excellent accuracy and energy transfer to the target. For hunting with an AR-15, you’ll want a scope that’s relatively lightweight and rugged, which means a 3Gun-style scope can more than work for you, especially in places like the Southeastern United States where typical hunting ranges are under 400 yards. If you’re out West or in general find yourself in need of a bit more magnification a 3-9x is going to be your best bet for most hunting distances, and indeed it is by far the most popular magnification for all but the longest of ranges. In this category, we recommend the Leupold 3-9x VX line. Leupold is known the world over for some of the best optics around, and they have a history of producing value-conscious and reliable hunting scopes. These optics are generally inexpensive, but more than capable of handling the bumps and bangs of a hunting trip without losing a zero. Sometimes, you need to really reach out and touch something at long range. Whether you’re looking to build a benchrest AR that can hold its own with all of the bolt guns at your local range, or you just want the maximum magnification for those 1000 yard shots, you have a number of options. Its commonly believed that a good long-range rifle has to be a bolt-action, but this is simply not the case. 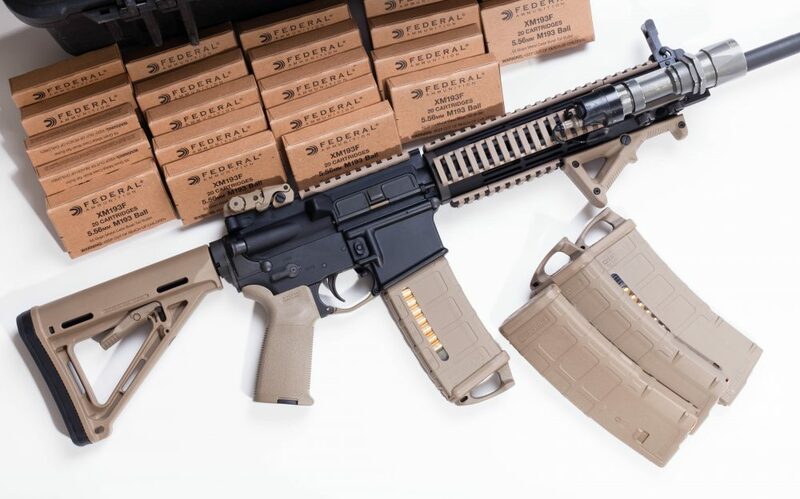 MSR/AR-15 rifles can easily hit those 1000 yard shots with the right optic, and with new long-range ammo options like the .224 Valkyrie making those shots even easier, long-range precision shooting is more possible than ever for the AR-15 platform. For those 1000 yards and up shots, you need a high level of magnification, and a clear glass that won’t obscure your target, but you also have to think about your budget. The truly high-end scopes for shooting at these ranges can easily run you over $3,000, on up to $5,000 for the truly excellent ones. Now, while an AR-15 platform can hang with the most expensive bolt-action guns, there’s a point of diminishing returns here as well. After a while, you’re going to be spending much more to get a little more accuracy out of an MSR than you would to get a comparable amount of additional accuracy out of a traditional bolt-action precision rifle. Because of this, it isn’t recommended that the average user spend the $3,000-$5,000 on a truly top-of-the-line precision scope for an AR-15. Simply put, you’ll have too much scope for your gun unless you’re also spending a similar amount on the rifle. 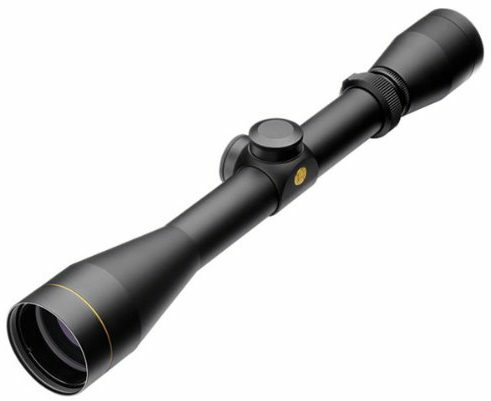 For a more cost-effective option, we recommend the Vortex Golden Eagle HD 15-60×52. This scope is perfectly serviceable for those longer range shots, and the upper end of it’s magnification is truly impressive.